Reinvent and sustain culture. It’s already a fact that Africa is a hub of prodigious design. Nevertheless, now more than ever, it needs to go a step further and preserve heritage; before the techniques and stories are disremembered. So what does this have to do with a graphic designer, with a knack for photography? 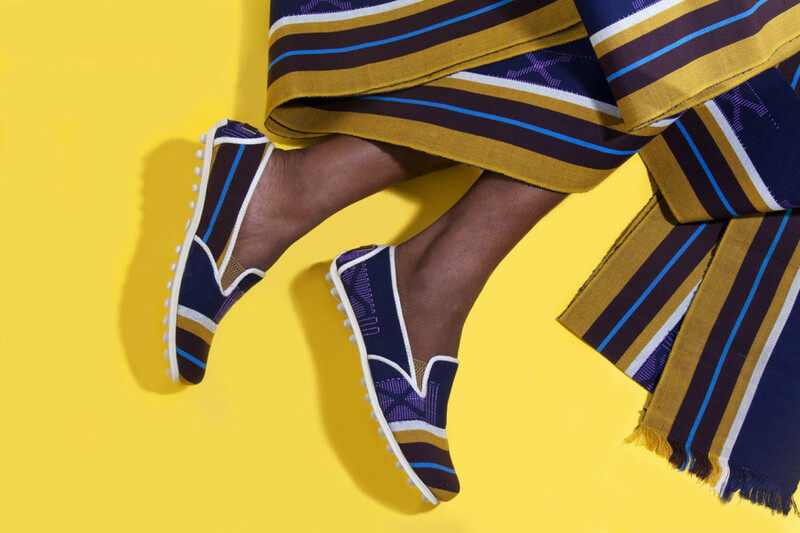 Tunde Owolabi founded Ethnik in 2015 because of Aso-Oke. This woven fabric, mostly made by the Yoruba of south-west Nigeria, is a popular feature at ceremonies. It’s such an important aspect of Nigerian culture and fashion that other Nigerian cultures have integrated it into their own celebratory events. Ethnik takes Aso-Oke and makes it “accessible to the fashion-forward modern man and woman” in fresh and modern products and designs. 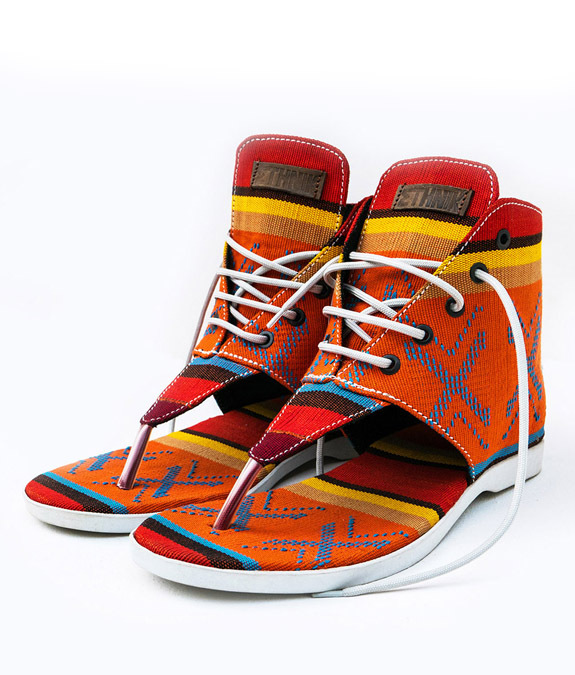 Interestingly, Owolabi isn’t a fashion designer. 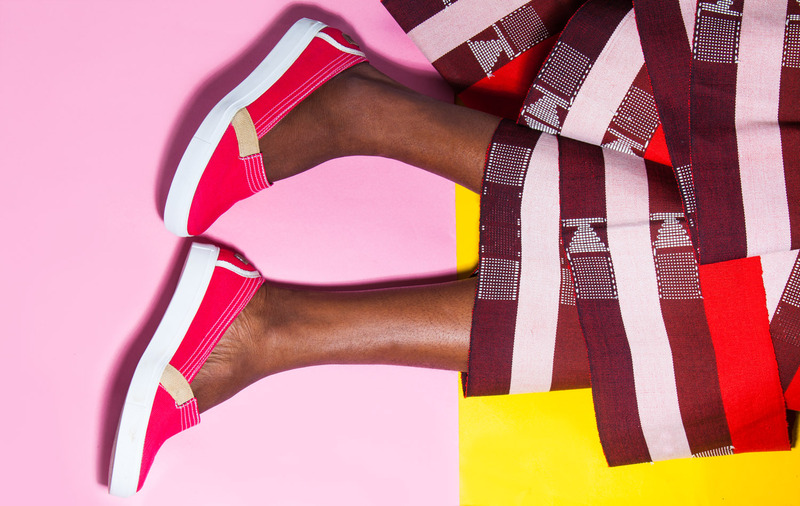 Owolabi, who was born in Lagos, has never formally trained as a fashion designer. He studied under renowned Nigerian artist, Professor Abayomi Barber, before he got his Graphic Design degree from Yaba College of Technology. He then studied photography at the University of the Arts London, before working as a designer at Research Studios London (now known as Brody Associates). He branched into advertising in 2009 when he returned to Nigeria and worked for Insight Communications. He would then start Tunde Owolabi Studios in 2011, which specialises in design and photographic services, and officially left the world of advertising in 2012. It was on a photography assignment that the brand concept came to Owolabi. 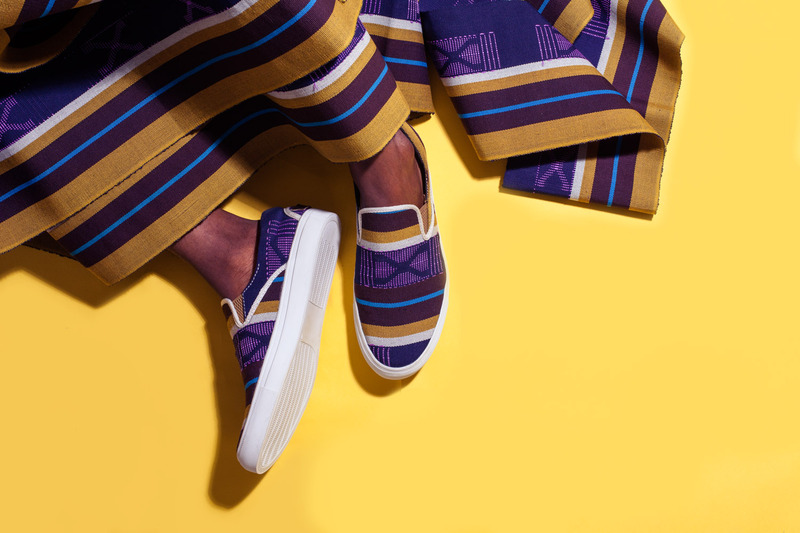 Short for Aso Ilu Oke, Aso-Oke means ‘clothes from the up-country’ and is used to reference the Aso-Ofi woven cloth. 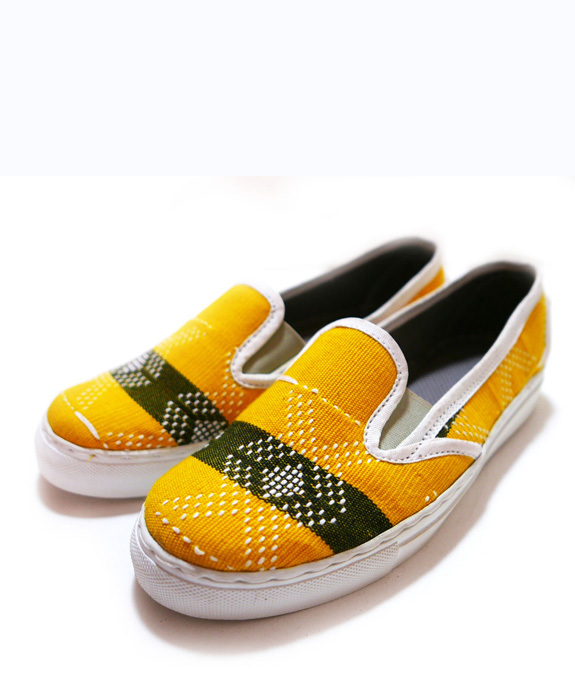 Produced mainly in Iseyin (Oyo state), Ede (Osun state) and Okene (Kogi state), it’s traditionally made by hand from wool fabric on looms that are powered by foot pedals. What started out as a hardy material used to make farm attire, underwent a metamorphosis into a luxurious and expensive fabric. 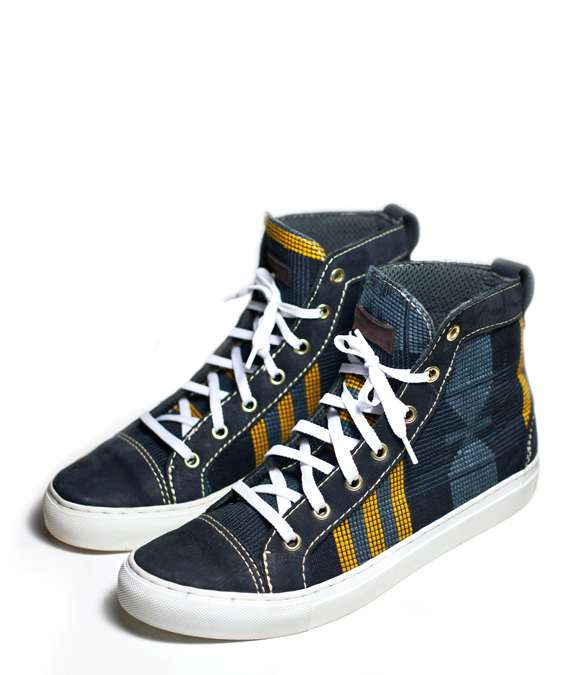 In order to make this old fabric relevant to a younger generation and the international market at large, he incorporated it into an everyday item; sneakers. He eventually incorporated it into other items as well, such as bags and home accessories. 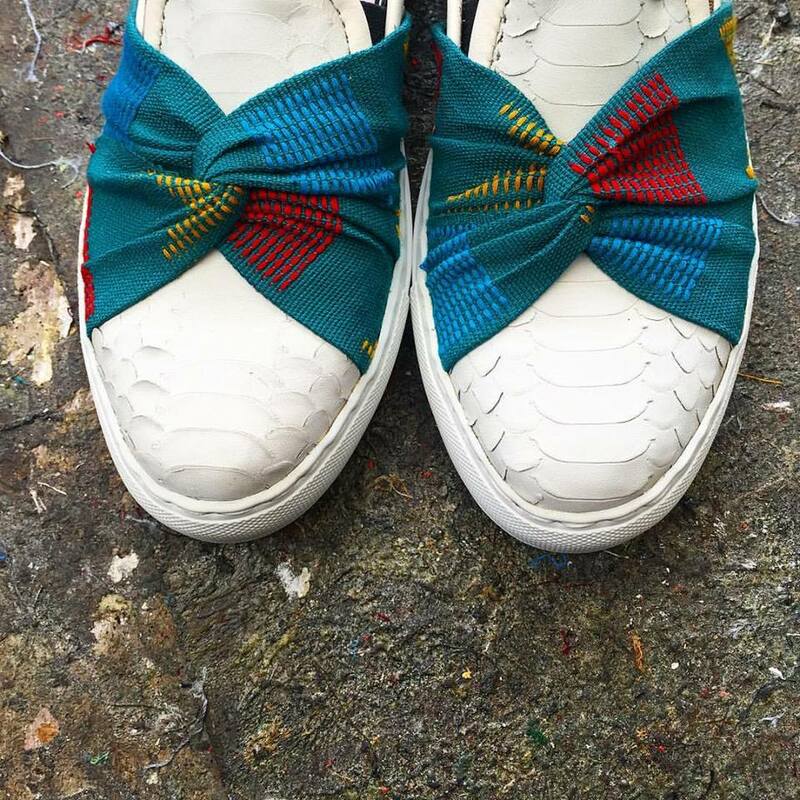 Owolabi may design the shoes and accessories, but he works closely with the weavers to promote culture, sustainability and community involvement. 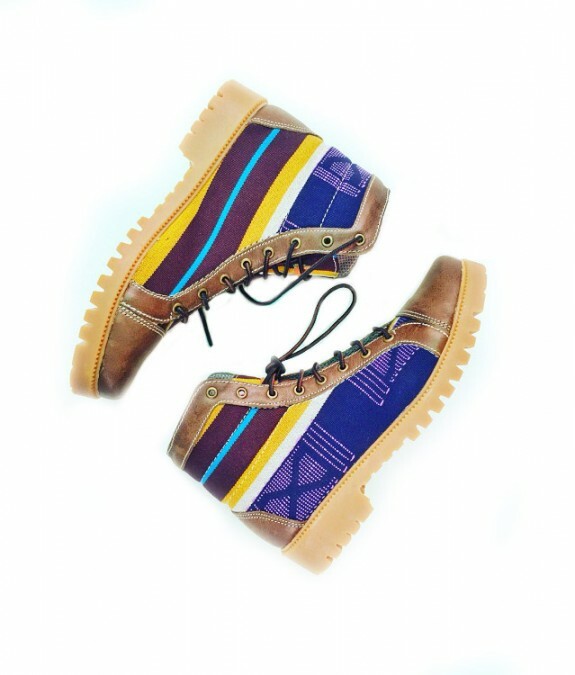 By investing in local artisans and creating ongoing employment, Ethnik provides an environment that supports one of the oldest traditional weaving methods on the continent. While the brand has faced challenges with sourcing materials and finding artisans, it remains committed to keeping the process as ethical and home-based as possible. 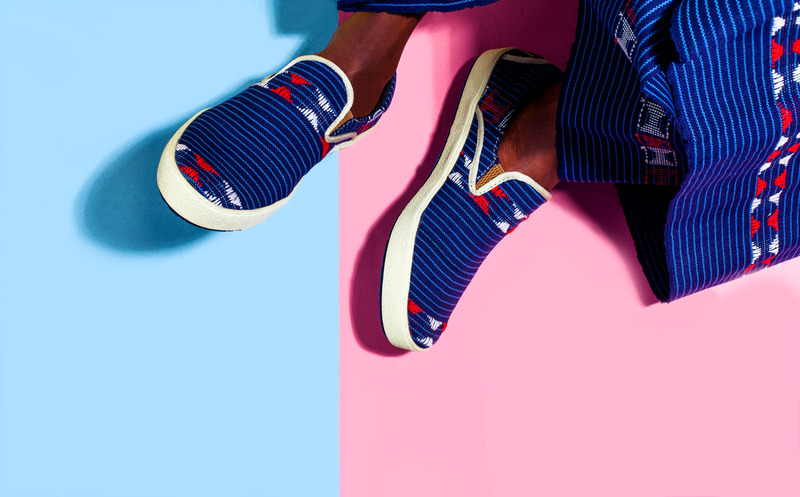 With plans to train people to become seasoned weavers or cobblers, that can impeccably produce the bespoke handmade footwear and fashion accessories, the skills can continue to be passed down through generations. 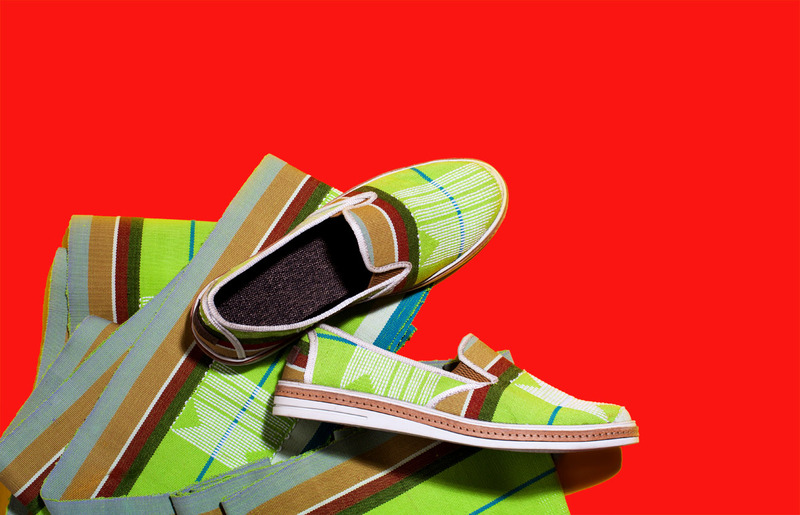 It also ensures that Ethnik can remain an authentic ‘Made in Nigeria’ brand, which preserves Owolabi’s Yoruba legacy. From a business point of view, the Aso-Oke is a great investment. It’s vibrancy, durability and versatility makes it economically viable; especially as an export product. 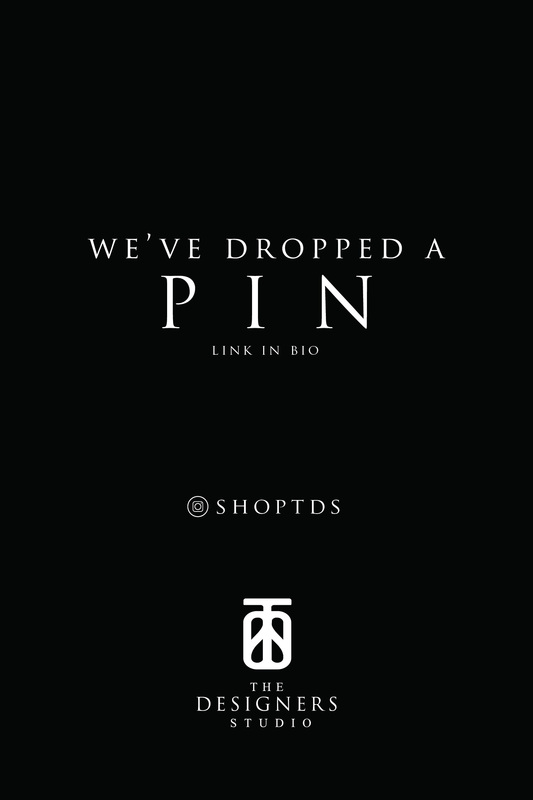 Nevertheless, by making it accessible to savvy trendsetters and millenials, it provides an avenue for their customers to connect to their heritage in a way that fits their lifestyle. Nigeria may be Africa’s most populous country, but the Yoruba community only makes 21% of it. By incorporating it into daily fashion, it creates a demand/ appreciation for the skill beyond the community and thus keeps it alive. Owolabi used the creative tools he already possessed to preserve an aspect of his culture and to celebrate part of the African narrative. How are you as a designer doing the same for yours?